Introduction: Over the years chlorhexidine (CHX), triclosan and sodium fluoride (NaF) mouth rinses are used alone or combined in the prevention of dental diseases. However, at present little is known about the combined effects of NaF + triclosan and CHX + NaF + triclosan mouth rinses on reducing dental plaque and gingivitis. Aim: The aim was to determine the efficacy of mouth rinses used as adjuncts to regular oral hygiene measures on reducing dental plaque and gingivitis. Materials and Methods: A randomized, placebo-controlled, double-blind, parallel-group study was conducted for 6-month, among 12-15 years old school children in Nellore, India. Eligible subjects (n = 210) with consent were randomly allocated to four groups and were provided with a mouth rinse (Group A = 0.2% CHX; Group B = 0.05% sodium fluoride + 0.03% triclosan; Group C = 0.2% CHX + 0.05% sodium fluoride + 0.03% triclosan; Group D = Placebo). All subjects used 10 ml of mouth rinse, once daily for 60 s. The clinical parameters evaluated were plaque index (PlI) and gingival Index (GI). Statistical significance within and between four groups was tested using one-way analysis of variance (ANOVA), repeated measures ANOVA with post-hoc and paired t-test. 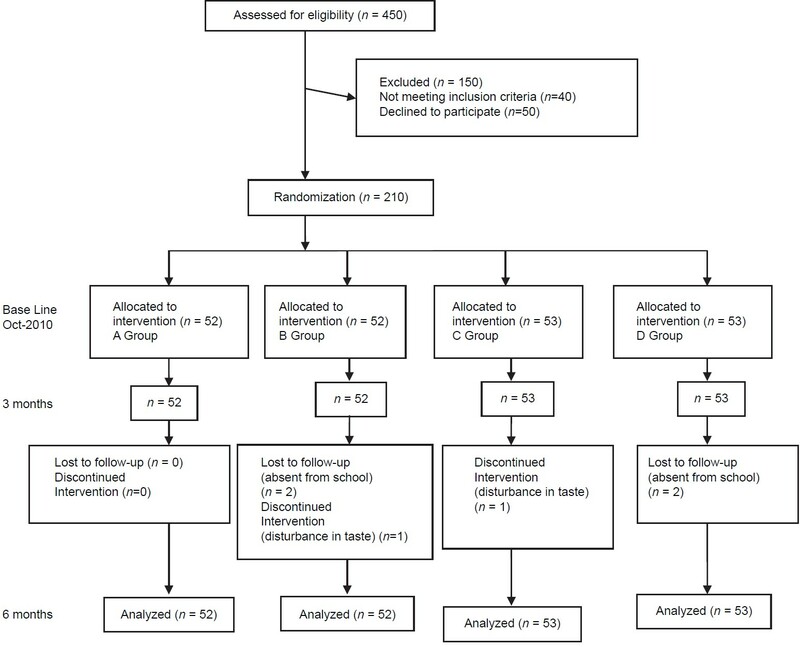 Results: At the end of clinical trial, the three test groups showed statistically significant (P < 0.001) reduction in PlI and GI scores compared with placebo group. Conclusion: The active agents demonstrated highly potent antiplaque and antigingivitis properties when compared to placebo. Objective: To estimate the dental caries experience and treatment needs of residents of slum area, in Indore.Materials and Methods: A survey was conducted in one of the largest slum areas, Panchsheel nagar of Indore, (M.P.). The sample size was estimated assuming the prevalence of dental caries to be 90% as found in the pilot study. The minimum sample required was 138. The dentition status was recorded according to the WHO guidelines. Examination was performed by the trained and calibrated examiner. The statistical analysis was performed using SPSS 16.5 software. Results: A considerably higher prevalence (76.2%) of dental caries in the residents of slum as compared to the general population of India (50-60%) was found. The mean decayed, missing and filled teeth recorded was 2.54. Statistically significant difference was found in the caries prevalence between different age groups and occupations. Males exhibited significantly higher caries experience as compared to females. Conclusion: The residents of slum have a high prevalence of dental caries. The prevalence of dental caries differed for different occupational groups and gender. Introduction: Oral health is an essential component of health throughout life. It is important to organize community-oriented oral health promotion programs, so that information on oral health status and oral health behavior can be obtained. Aim: To investigate the caries experienced and oral health behavior in 12-year-old schoolchildren in Moradabad city, Uttar Pradesh, India. Materials and Methods: Five hundred and twelve schoolchildren (256 private and 256 government) 12 year old schoolchildren were selected through multistage random sampling procedure. Dental caries was recorded using Decayed, Missing, Filled Teeth (DMFT)/Decayed, Missing, Filled Surface (DMFS) index. Data on oral health knowledge, attitude, and behavioral practices were collected by means of a self-administered questionnaire. Results: The mean DMFT/DMFS among private schoolchildren (1.90 ± 1.46/3.24 ± 3.18) was significantly higher than the government schoolchildren (1.54 ± 1.34/2.22 ± 2.42). The survey found that 26.95% of the private and 19.53% of the government schoolchildren brushed their teeth regularly (twice a day) with toothbrush and toothpaste. The study participants also reported having hidden sugar at least once a day: Sweets (34.77% of the private schoolchildren and 25% of the government schoolchildren) and tea/coffee with sugar (61.33% of the private schoolchildren and 54.29% of the government schoolchildren). Dental visits of both private and government schoolchildren were poor. Conclusion: The difference in oral health behavior among the private and government schoolchildren may have influenced the DMFT/DMFS values and provided knowledge about the disease experience. In addition to preventing oral disease and promoting oral health, the local health authorities should give priority to school-based community-oriented oral healthcare services. Background: The available literature on the prevalence of malocclusion among school children in endemic fluoride areas in India is scanty. Objectives: The objective was to assess the prevalence of malocclusion using dental aesthetic index (DAI) and its association with gender, area of residence, and fluoride concentration among 15-year-old school children. Materials and Methods: This cross-sectional study was conducted among 15-year-old school children in the rural and urban areas of Nalgonda district, Andhra Pradesh, India. 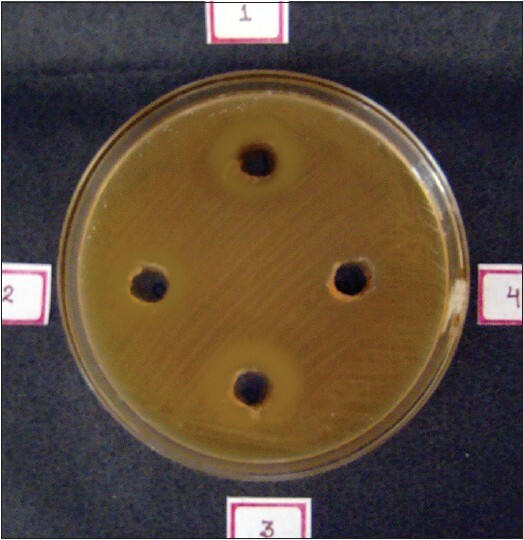 Two-stage cluster sampling was used for selecting the eligible children. Six out of 59 mandals in Nalgonda district were selected by simple random sampling technique. All the secondary schools in rural and urban areas of these mandals were listed and subsequently, four schools from each of these mandals were selected using random sampling. All eligible children aged 15 years were selected and assessed for malocclusion using Dentofacial anomalies with criteria of DAI by three trained and calibrated dentists. The DAI in relation to gender and area of residence were compared and analyzed using SPSS 16. Student's t-test and one-way ANOVA were used for comparing the mean values between groups. The qualitative data were analyzed using the Chi-square test. Results: A total of 1484 children was examined. The prevalence of malocclusion was 17.9%. The prevalence was significantly higher (P = 0.001) among females (23.6%) compared to males (13%). The prevalence was significantly higher (P = 0.001) in urban areas (22.2%) compared to rural areas (15%). The prevalence was significantly less (P = 0.001) in optimal (13%) and above optimal areas (8%) compared to below optimal areas (23%). Conclusion: The prevalence and severity of malocclusion were more among females, urban, and below optimal fluoride areas. Introduction: The orthodontic need assessment is of interest for dental public health programs. The major factors determining a patient's perceived need for orthodontic treatment may be aesthetic, functional, financial, or social. Adolescents seeking orthodontic treatment have been found to have poorer aesthetics than their peers, but whether poor aesthetics alone generates greater treatment demand has not been determined in the Indian context. Objective: The aim was to study the factors determining perceived orthodontic treatment need among college adolescents. Materials and Methods: A total of 448 adolescents between 17 and 19 years of age were selected randomly from the colleges. Data were collected on pretested and standardized questionnaire. Perceived need for orthodontic treatment was assessed by asking question to the participants. Dental Esthetic Index (DAI) was used to assess the severity of malocclusion. 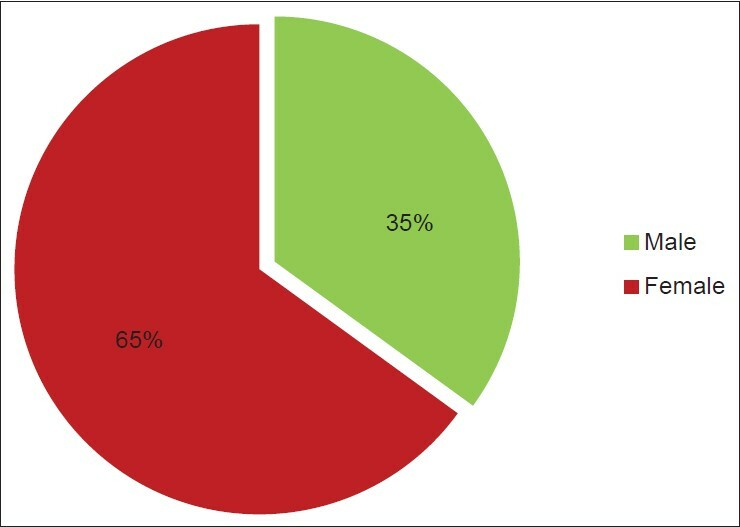 Results: The prevalence of malocclusion was 21.6% as per DAI. The perceived need for orthodontic treatment was 11.2%, though the level of dissatisfaction with dental appearance was 19.2%. No agreement was seen between the treatment need assessed objectively by DAI and that perceived by the patient. The determinants for perceived and normative orthodontic treatment need were socioeconomic status (SES), awareness of malocclusion, dissatisfaction with dental appearance and avoided smile due to dental appearance. The positive correlation between perceived and normative need was statistically significant. Conclusion: The uptake of orthodontic care may be influenced by SES, awareness of malocclusion; dissatisfaction with dental appearance, perceived need and DAI score. Introduction: Effective management of an emergency situation in the dental office is ultimately the dentist's responsibility. The lack of training and inability to cope with medical emergencies can lead to tragic consequences and sometimes legal action. It is logical to provide training on emergency care during undergraduate years ensuring basic competence in all graduating healthcare students. Previous surveys of medical and dental schools have highlighted deficiencies in such training. This survey sought to assess awareness of emergency drug use among students and teaching faculty in a dental college in Coorg, Karnataka. 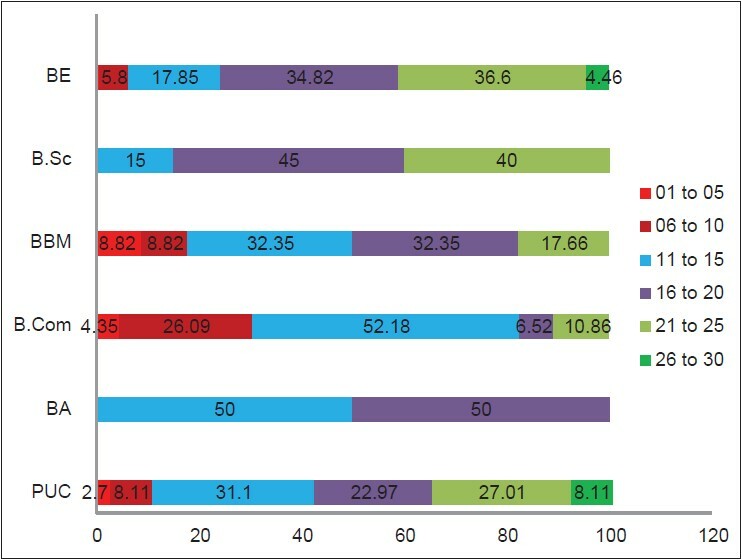 Materials and Methods: The study was carried out among a convenience sample of 250 dental students (III rd BDS, IV th BDS, Interns, and post graduates) and teaching faculty at the Coorg Institute of Dental Sciences, Coorg, Karnataka. The Closed - ended questionnaire containing selected basic multiple choice questions was used to assess the awareness. Results: About 60% of the responders scored < 50% marks, 15.6% of the responders scored between 50% and 59% marks, 14% of the responders scored 60-69% marks, 4.8% scored marks between 70% and 79% marks, only 5.6% of the responders scored between 80% and 89% marks. Conclusion: Awareness of emergency drug use among dental students and teaching faculty needs to be improved and updated. Introduction: The present study reflects a profile of dental students and their attitudes toward dentistry. Aim: The aim was to determine the motives and perceptions of undergraduate and postgraduate dental students attending Dental Colleges in Bangalore city. 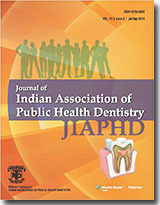 Subjects and Methods: All the Dental Colleges in the Bangalore city were included in this study. The students were asked to complete a questionnaire consisting 25 questions. The influence of certain factors was scored on a scale from 1 to 9. Kruskal-Wallis test and Mann-Whitney test. Results: Two hundred and thirty-three (38.83%) students had dentistry as a first choice. In the present study, "caring profession" (94.33%) and private practice (25.6%) were the motives for choosing dentistry. Factor analysis was performed for Q9-23; the 15 questions were grouped under five factors: Influence, profession, flexibility, remuneration, and versatility. The level of agreement scores decreased from 1 st year B.D.S students to post graduate students. Conclusions: For selecting dentistry as a career job security, caring profession, flexibility, self-employment and prestigious profession were found to be important motivating and perception factors. Majority of students indicated that dentistry was not their first choice of career. Hence, it may be a good idea to establish educational programs in colleges to educate students on their career choices. Background: Medicine and engineering still seems to be the most chosen career and the decision in the choice is largely influenced by the parents. Right attitude toward the chosen profession and the perceptions about the existing curriculum are important for any student to be successful in the college as well as in the career. Materials and Methods: A descriptive cross-sectional study was carried out among 466 undergraduate (bachelor of dental surgery) students from randomly chosen dental colleges in Tamil Nadu to assess their attitude and perception toward their curriculum and profession. A validated closed ended questionnaire with 18 questions was used in this study. 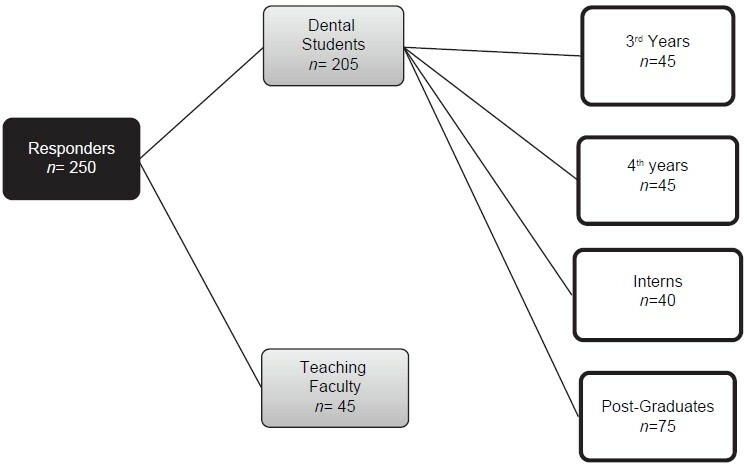 The information obtained were: Reason to opt for the dental course, the most-hated part of the curriculum, adequacy of lecture and clinical hours, number and duration of lecture classes and clinical hours preferred, reason for not liking a particular subject, and the most important factor to be considered to rate a teacher. The proportion of the response was calculated to assess the overall attitude and perceptions of the students. Results: Forty-two percent of the students opted for the dental course because they did not get admission to the medical course. Written assignments (52%) were the most hated part of their curriculum. -42% of the students believed that the ideal attendance percentage should be 75%. Knowledge and teaching skills (79%) was the most important factor that was considered to rate a teacher. Conclusion: Majority of the students developed passion toward their profession. There was no serious complains about the existing curriculum, but a newer education model that can enhance the problem solving, and critical evaluation skills of the student is warranted. Introduction: Over the past few decades mankind has been mainly affected with chronic noncommunicable diseases, which led to compromised quality of life. Common dental diseases come under same categories that are largely social and behavioral in origin. Health-related quality of life helps us address the limitations of traditional clinical indicators of health. Aim: To measure the impact of oral health on quality of life among patients visiting dental teaching hospitals and private clinics in Bangalore city using oral health-related quality of life (OHQoL) - U.K index. 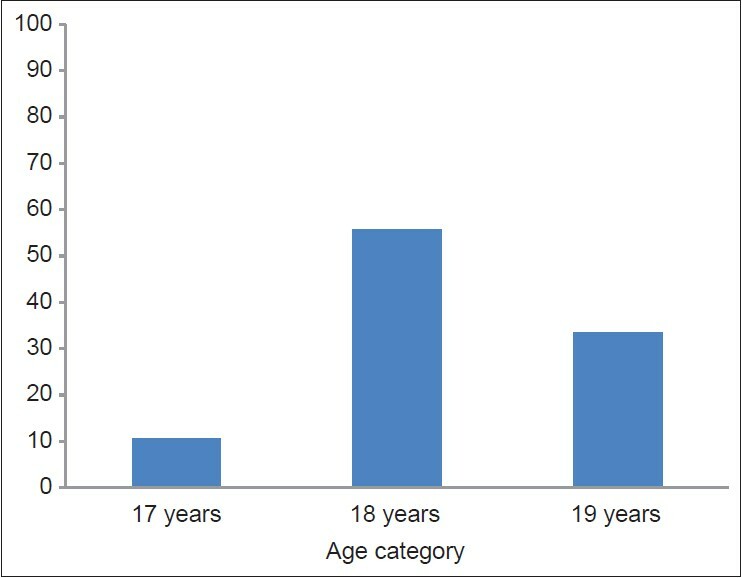 Materials and Methods: A total of 1200 individuals who are above 16-year of age were selected through stratified cluster random sampling technique for this study. Data were collected using OHQoL-U.K instrument. Results: Most of the subjects (78%) perceived their oral health as impacting their quality of life. Many participants perceived their oral health had positive impact on life quality through enhancing their smile, appearance, speech. But 44.9% and 28.5% of respondents said their oral health has a negative impact on quality of life because of breath odor and finance respectively. Subjects are belonging to lower socioeconomic background, women and older adults (>45 years) perceived their oral health has a negative impact on quality of life compared to subjects from higher social class, men and young adults. Conclusion: Oral health has more impact on physical and functional aspects rather than on social and psychological domains. Introduction: Oral health literacy (OHL) is the new imperative for better oral health as health literacy is now considered a determinant of health. The complexity of both verbal and written oral health communications creates a significant barrier to improving oral health. Aim of the Study: To determine the association between OHL and oral health-related quality of life (OHRQoL) among undergraduate students in Bengaluru City. Materials and Methods: For a cross-sectional survey among 400 undergraduate students (PUC, BA, B.Com, BBM, B.Sc, BE), 10 colleges were randomly selected in Bengaluru city. The structured proforma including oral health impact profile-14 (OHIP-14) was administered to the study participants. Rapid estimate of adult literacy in dentistry-30 (REALD-30) was provided to each participant to be read aloud in front of the interviewer. The data were analyzed using descriptive statistics, ANOVA and correlation coefficient test. A P < 0.05 was considered to be significant. Results: Mean OHIP-14 score ranged from 16.2 ± 3.52 (BBM) to 21.5 ± 7.5 (BA) with significant differences among streams (P = 0.036). Mean REALD-30 ranged from 12.76 ± 4.61 to 18.85 ± 3.42 with significant differences between groups (P < 0.001). OHIP-14 and REALD-30 showed positive correlation for PUC (r = 0.072), B.Com (r = 0.314), B.Sc (r = 0.448) and BE (r = 0.245); negative correlation for BBM (r = −0.09). However significant correlation was observed among B.Sc and BE students (P < 0.05). Conclusion: Oral health literacy was significantly associated with OHRQoL. Hence raising OHL levels may have an impact on OHRQoL. Introduction: Dental neglect (DN) has been defined as behavior and attitudes which are likely to have detrimental consequences for the individual's oral health, or more specifically as failure to take precautions to maintain oral health, failure to obtain needed dental care, and physical neglect of the oral cavity. Aim: The aim was to assess the association of DN with dental caries and oral hygiene among adolescents in Virajpet, India. Materials and Methods: A total of six hundred adolescents aged 15-18 years were selected. DN was recorded using self-administered questionnaire. Oral health status was clinically assessed using simplified oral hygiene index (OHI-S) and dental caries through dentition status as per WHO criteria. Results: The mean DN score for this population was 10.18. Sociodemographic variables and Dental Attendance pattern were significantly associated with DN. Mean decayed missing filled value and OHI-S values were also significantly associated with DN. Conclusion: The present study revealed that variations in DN exist in relation to sociodemographic characteristics and pattern of dental attendance. In addition, oral health status was significantly associated with DN among adolescents. Introduction: School teachers play an important role in the all-round development of children. Quite often, they play an important role in general health education as well as oral health education in children. To perform the above tasks, teachers should have required oral health knowledge and positive attitude about oral health. Objectives: The objective was to assess the knowledge, attitude, and practices about oral health among school teachers in Guntur city, Andhra Pradesh. Materials and Methods: A cross-sectional study was conducted, and data were collected with pretested self-administered questionnaire. A total of 248 school teachers was selected by simple random method from the list of primary and high school teachers working in Guntur city. Questionnaire consisted of seventeen questions on knowledge, attitude, and practice. Each favorable and unfavorable response was given a score of 1 and 0 respectively. Total score of 60% or more for each domain was considered "satisfactory" whereas < 60% as "unsatisfactory. Data were analyzed with SPSS-17 (Chicago Inc.,) and Chi-square, test was used to test the statistical significance among various variables. Results: A total of 248 school teachers was participated in this study, 64.9% of the teachers had satisfactory knowledge about oral health. About 194 (78.2%) had satisfactory attitude about oral health and around 191 (77%) teachers had satisfactory oral hygiene practice methods. Conclusion: Teachers required being further educated about oral health through an effective media to deliver oral health education to students.